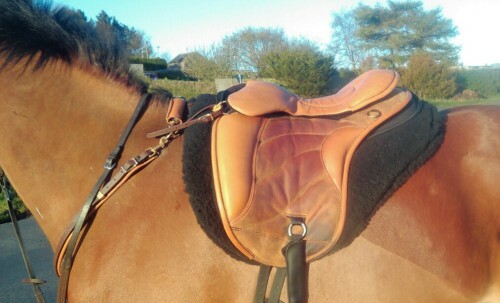 Lovely saddle, very well made and the leather is very soft and flexible and doesn’t take much breaking in, at the same time it is hard wearing and doesn’t mark easily. miles) and a 2 day 26 mile ride. Has 3 stirrup positions, freeswing, hard use and endurance. The stirrup position on freeswing and hard use can be moved due to stirrup ring being on moveable Velcro plate. Endurance is fastened to the bottom of the stirrup flap which eliminates stirrup pressure points on the horses back. 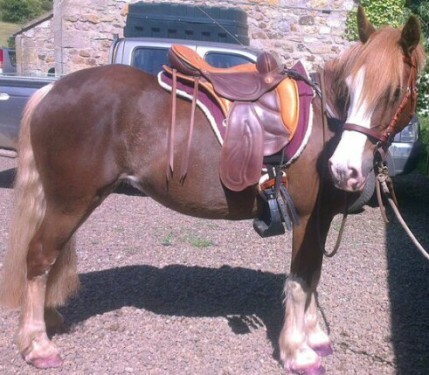 Used on 12hh Welsh Section A, 14hh Welsh Cob, 14.3hh Welsh x Arab and 15.1hh HW Cob. Dressage trail with upgraded formal dressage pommel and cantle giving a deeper seat and upgraded g4 seat giving a neater look. I ordered this but unfortunately I just didn’t get in with it,I found the formal pommel and cantle just a little too deep for me and in hindsight should have had the normal dressage trail pommel and cantle but it was a lesson learned. The colours are butterscotch deertan seat,knee,thigh roll and beading with dark coffee bean flap leather. 2 removable rigging billets and a 17″ seat. The formal dressage pommel because of its higher stance offers a little more wither clearance but again this had been used from low wide wither to medium narrow withers with just the change of pads. For flat work this worked well to give a really deep seat and the flap is similar to a working hunter style cut and offers good shoulder room. Same 19″ weight bearing panels and works well in short backs. Dressage trail with 1″ shortened flap and standard dressage trail pommel and cantle. Offers a semi deep seat with a working hunter style flap,not completely straight but only slightly forward cut. This fit my mare very well and was the first saddle we had had that really worked,both treed and treeless. The flexibility of this saddle really worked well in allowing the saddle to mould to my mares shape,medium but very wide wither,sharp rise to the group,downhill and very short backed, huge movement from behind and through her back which always caused saddles to fly forward then blocking her shoulder,nightmare to fit! In the picture I am using the endurance set up stirrup attachment which offers the most effective weight distribution. It does however mean you lose some of the swing in your stirrups,for me this is not a problem,it helps stabilize my left leg since a knee injury but does take a little bit of getting used to. 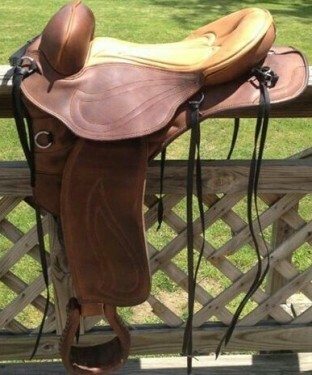 I jumped around 2’6″ in this saddle and it works well for flat work too. I am using a Skito pad with 3/4″ inserts and a 1/2″ wither shim for this particular horse but the Skito is a great pad for all types of horses and saddles and offers a very large selection of inserts and shims. This is my favourite model of all the sensations. This is a 15.5″ seat measured like a western. It has a tall western swell with a tall western cantle,2 removable rigging billets and g3 rigging for the stirrup attachment. It is set up in the endurance setting in the photo,this offers the most weight distribution after the hard use set-up and is my preferred stirrup attachment as I hate leathers under my legs and it also helps stabalise my legs. Good for me since an old injury. It does limit your leg movement a bit but does not fix it in one position. I had the flap shortened 1.5″ on this one and at 5’4″ with a 28″ inseam this is perfect for me. The sonoran has the formal dressage flap which is very straight cut and I am effortlessly riding in a very relaxed correct position with no back,knee or ankle pain. The swell and cantle offer security but do not pin me in or restrict posting the trot. Though not great for jumping anything but small logs etc out on the trail. All the horses I’ve used this on have been very comfortable in it and the wither clearance is great in the ones I ride. I have not used it on shark fin withers but believe it would work with the correct choice of pad. 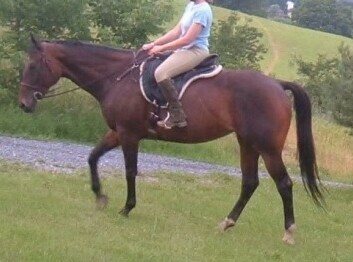 From 13.2hh no withered xxxxw up to 17hh med wide medium withered with only a change in pad. The colours in this are butterscotch deertan seat,knee,thigh roll and binding on black cherry flap leather which was a one off hide nickers saddlery had available,I love this combination! This for me is a perfect trail saddle for comfort and ease of a relaxed but correct position and remains my favourite model. The only limitations for the Sensation range is that they are not recommended for horses with a high wither. Riders should be under 14 stone.